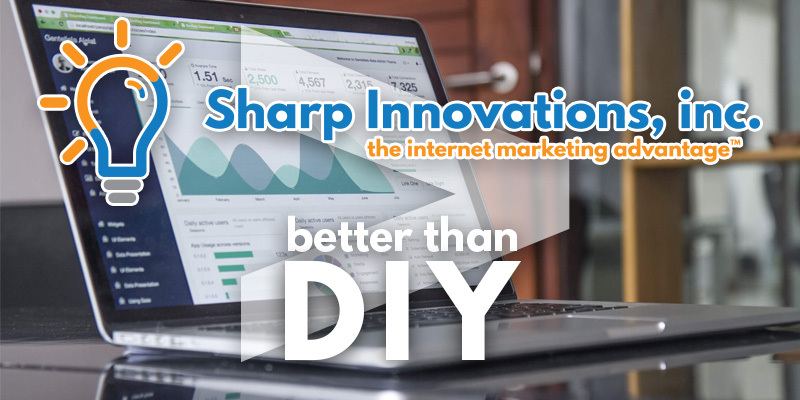 Why Custom-Built Websites are Better than DIY Websites | Sharp Innovations Blog | Sharp Innovations, Inc.
As the World Wide Web continues to mature, do-it-yourself (DIY) tools that allow people to easily create their own websites using drag-and-drop user interfaces, as well as pre-made themes, have become ubiquitous. While DIY tools and commodity themes can be beneficial for individuals or for a small startup, they can’t compare to a custom-built website designed for an established business. So what can a custom-built website provide you that a DIY website builder tool can’t? 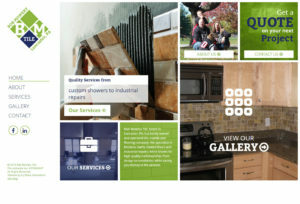 How about a completely customized website, built specifically with your business or industry in mind? Rather than selecting from a list of template design concepts that do not take into account your business identity, firms like Sharp Innovations work with you to gather information about what you look for in a website and what designs best cater to your audience. A designer then uses that information to create a brand new look for your website. The result is a visual style unique to your business that makes the right impression from a user’s perspective. Templates offered by DIY website builders are typically created with the intent of being as versatile as possible, so you lose individuality of design. Looking beyond just the design and user experience, a professionally-developed custom website also gives you full control over functionality. For example, many businesses require extremely customized functionality on login portals for customers or employees, online file managers, custom shopping carts, or management panels where they can manage store locations or other dynamic data. A significant advantage custom websites have over website builders is that they are built using open-source, nonproprietary languages or technology. Many build-your-own-website services will force you to host with them indefinitely because their software is proprietary, preventing your website from running on any other environment than their own. You’re locked into hosting with them as long as you use their website builder service, so if you ever want to move your site to another, you’re out of luck. You might want to move your site for a variety of reasons, including if the company shuts down— in which case your website could wink out of existence. On the other hand, custom-built websites are typically based on a standard language like PHP and can be hosted on a wide variety of environments, so you’re never locked in to a particular host and are always free to host your website anywhere you want. Those are just a few reasons why custom websites are superior to DIY website builders. For individuals, DIY is a viable option, but if you’re running a business, you’ll receive a far better product in a custom website. Posted in Website Design, Websites and tagged custom websites, template websites, user experience, website builders on October 20, 2016 by Greg Lauver .